Tecno Phantom 6 and Phantom 6 Plus are the latest flagship devices from Tecno Mobile to succeed the former Phantom 5 which really was a success when it was launched. This new devices in the Phantom series comes in two slightly different variants but offers great features that you would find in a real smartphone. In parts of their marketing and introduction strategy, Tecno mobile took to their Twitter handle to tease the new tecno phantom 6 and phantom 6 plus adopting a weird, but advance strategy that got many fans confused and thoughts of Tecno Twitter Account being hacked escalated but at the end, it was actually a trick by Tecno as they introduced the #BeautyAndTheBeast. After the twitter trick and tease by Tecno mobile, the new two Phantom 6 devices started trending even when it's yet to be officially launched. Talking about the launch, Tecno mobile said the new flagship devices will be launched/released of in Dubai, UAE later in September 25, 2016. This Phantom 6 and Phantom 6 Plus will make their first debut at an event in Armani Hotel as an effort to grow and market their brand in the western region and middle east. This is a big plus for the Chinese company after dominating Nigeria, Kenya and some other African countries for some couple of years now (even built a functioning assembly plant in Africa), they are now taking a bold step to storm more advanced countries and i believe with the specs and features these devices offers, it's just a matter of time till Tecno start recording success in those countries just like Xiaomi products are doing right now. Although the devices are yet to be officially launched but we have some of the key specs and this page will be updated as soon as the phone is launched. But then, checkout some of the beautiful features you will see on this lovely Tecno Smartphone. While the Phantom 6 is a 5.5inch device, the Phantom 6+ is uses 5.95 inches display screen size with a revamped metal design that is smartly slim and houses a huge 4050mAh battery. It is beautifully designed and the body consists of 5 layers of metals to give durability. 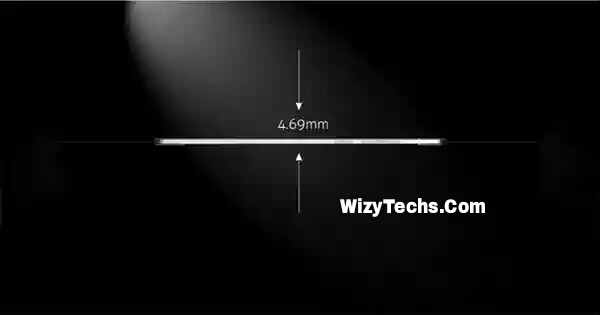 Another wonderful feature about the body design is anti-scratch technology used and it has corning gorilla glass v3.0 (although the highest version is Gorilla Glass 5 to protect the screen against falls and some other mechanical damages. The 'non-detachable design' simply implies the battery is inbuilt and cannot be removed; of course that's normal this days with new phones. 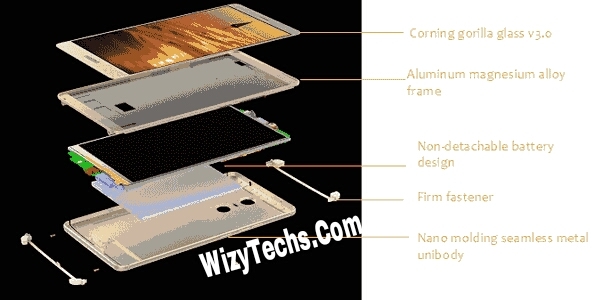 The Amazing thing here is how Tecno managed to embed a huge 4050mAh battery in the phantom 6+ which is just 7.7mm thick and in the phantom 6 which is just 4.9mm thick. It's absolutely incredible. 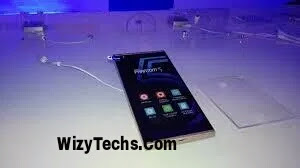 Tecno Phantom 6 is a 5.5-inch display smartphone while phantom 6 (+) is a 5.95-inch display smartphone with 980 X 1280 pixels screen resolution. The phone is an all round device as almost every aspect of its features gives you what you want. Talking about the hardware, both Phantom 6 and 6+ packs a 2.1Ghz Deca-Core MediaTek Helio x20 Chipset (very fast). It's worth remembering that Helio X20 chipset requires less power and saves 30% of the battery life. In terms of RAM and internal storage, the Phantom 6 comes with 3GB RAM and 32GB internal storage , while Phantom 6+ boasts of 4GB RAM and 64GB which can be expanded up to 128GB via an external SD Card. The two devices are coming with Android 6 Marshmallow out of the box and just like other new Tecno smartphones, it is expected to run Tecno's own UI known as HiOS which is based on Android Marshmallow. Although it's still not clear if latest Android 7.0 Nougat will be available via OTA on the devices latesr. Let's just wait and see how it turns out. The Phantom 6 and 6+ have just outscored and dethroned Tecno Camon 9 as the best camera phone from Tecno as it features some amazing camera specs better than what other phones from the manufacturer offers. Both the Phantom 6 & 6+ has a 21MP shooter at the back resolution and the camera has a slightly different setup from what we’re used to on normal devices and to spice it up but it uses 8MP in the front. both devices have a dual rotating camera (Two Cameras); I hope you remember HTC M9 which launched earlier this year also has this feature. The dual camera on Tecno Phantom 6/6+ will offer users both manual and automatic control options, a totally Digital Single-Lens Reflex camera (DSLR) feature. Other features are Argumented reality, iris scanner, Irish and fingerprint scanner, 4G LTE network support and lots more. 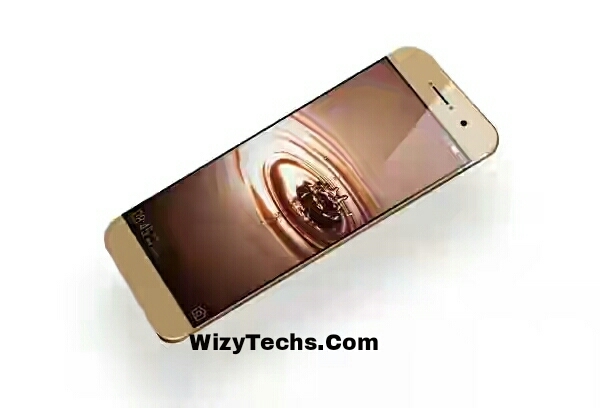 The two beautiful smartphones launch date is September 25 2016. Stay tuned. Screen Resolution: 980 X 1280 pixels. 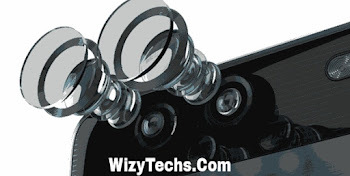 Screen: Protection: Corning Gorilla Glass v3.0. SIM Type: Dual Standby, dual Micro SIM. Processor: 2.1GHz Helio X20 Deca core chipset. Main Camera: 21 MP auto focus with dual Led flash. Internal Storage Memory: 32 GB/64 GB. SD card Slot: Yes. Support up to 256 GB. Finger print, Accelerometer,proximity, compass, Gyro, Iris Scanner. 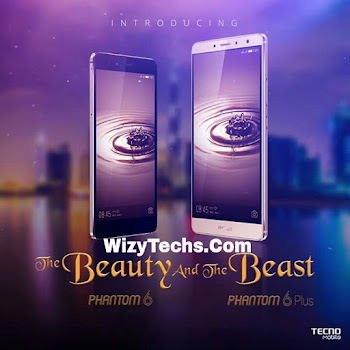 You might be thinking of the difference or comparing Tecno Phantom 6 Plus v Phantom 6. well, there are actually some noticeable differences in the two devices. ✔ Phantom 6 plus comes with both fingerprint reader and iris scanner , while phantom 6 only supports iris scanner. Those are the major difference. Apart from that, the two lovely phones are identical. How do you see this phone? 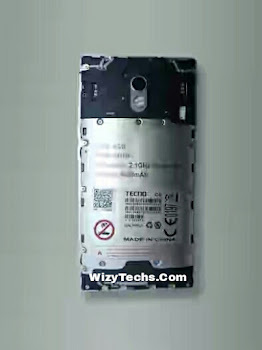 I think Tecno have taking their game to the next level. Nice specs, Nice phones... I hope it will be slightly cheaper than you speculated.Guys with that that sort of cash now in Nigeria may not go for Tecno . pls do you have any inside info when infinix is coming out with specs like this on their phones like these on the above mentioned Phantoms the one's infinix have released this year aren't up to date like this phantoms. Now talking about if this beast will get the Android Nougat update, yes it has officially been confirmed. This is truly a beast of a phone. I was privileged to handle it at their shop in UYO when i visited a friend that repairs GIONEE phones.